“CAN I KEEP MY HOME if I file for bankruptcy?” is the most frequently asked question to a bankruptcy attorney-lawyer for people that own a home. It is actually very common for people to keep their home, but a complete analysis of all issues regarding bankruptcy and home ownership must be examined. HOME OWNERS FILING CHAPTER 7 often want to keep their home. A determination must be made regarding the two separate and distinct issues of home equity and being current on mortgage payments. EQUITY CONCERNS can be avoided and you can keep your home if the equity in your house is below $132,900 with only one person on the deed, or below $265,800 with a joint deed. There is a distinction between the equity in the property and the value of the property. 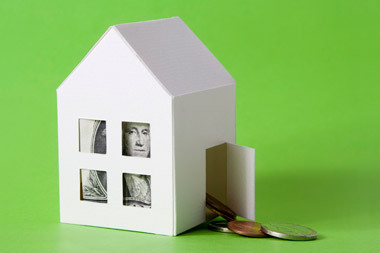 Equity is determined by taking the value and subtracting from it any mortgages and liens against the property. For instance, if your home is worth $350,000, is deeded only in your name, and has an outstanding mortgage in the amount of $220,000, the home would have $130,000 of equity. Since the equity is below the allowable amount of $132,900, the home can be protected from any equity concerns. PAYMENT PROBLEMS arise when you own money on your home in the form of mortgages or liens. You have to make a simple choice: you can return the property and not pay for it, or you can keep the property by continuing to pay for it. If you give the property back, it is called surrendering the property back to the mortgage company/bank. This option allows you to avoid being financially responsible for any real estate related expenses including taxes, utilities, and the mortgage. Bankruptcy would allow you to obtain a complete fresh start regarding the house debt. If you choose to continue paying for the mortgage(s), to keep the property, you request that the mortgage company enter into a reaffirmation agreement with you. For a reaffirmation agreement to be successful, you must generally be current on all mortgage, insurance, and property tax payments. In most circumstances, if you are not current on the obligations, the creditor will not allow you to reaffirm the debt and retain the home. In many cases we may also be able to obtain a release of any judgment liens placed against your property from creditors that have successfully sued you in court. KEEP YOUR HOME WITH CHAPTER 13 even if you have too much equity or if you are behind on the payments and unable to reaffirm the debt. If your equity is too high, the only impact on your chapter 13 bankruptcy will be the amount of your monthly plan payment. If you are behind on your mortgage, taxes, or insurance, you can make up these payments through your chapter 13 plan and stay in your home the entire time. Chapter 13 is the best option for a person that wants to keep their home, but has equity or payment issues. YOU HAVE WORKED HARD to obtain the “American Dream” of home ownership. Do not allow the use of the wrong attorney to turn the situation into the “American Nightmare.” Our skilled bankruptcy attorneys and lawyers fully and completely understand the bankruptcy laws. Experience matters when handling such an important situation. We are highly respected in the Columbus, Ohio area. We can explore options between chapter 7 bankruptcy and chapter 13 bankruptcy. We can help you deal with all issues relating to your home. Call today for your free telephone consultation to determine how the law firm of Barr, Jones & Associates can help you on your road to a financial fresh start.